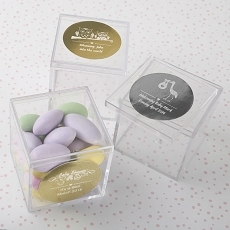 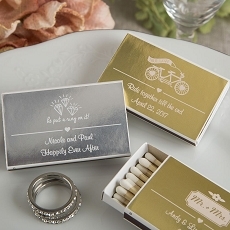 Animal prints, gold accents and personalization, our Safari Candy Tins are the perfect favor container for your safari-themed shower or children's birthday party. 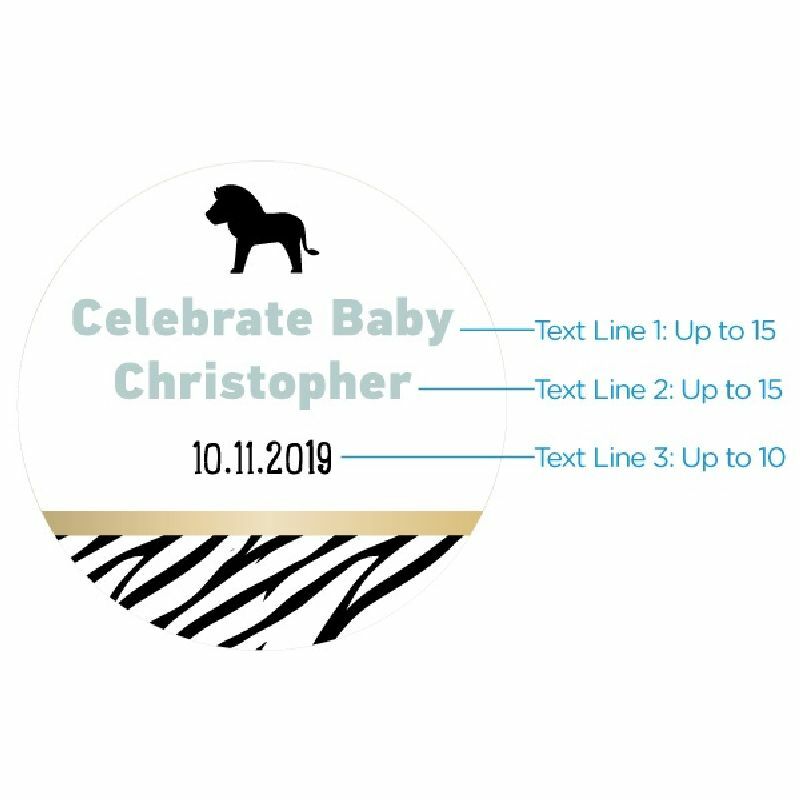 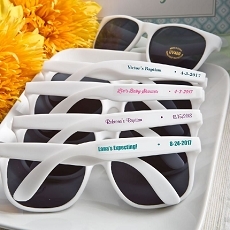 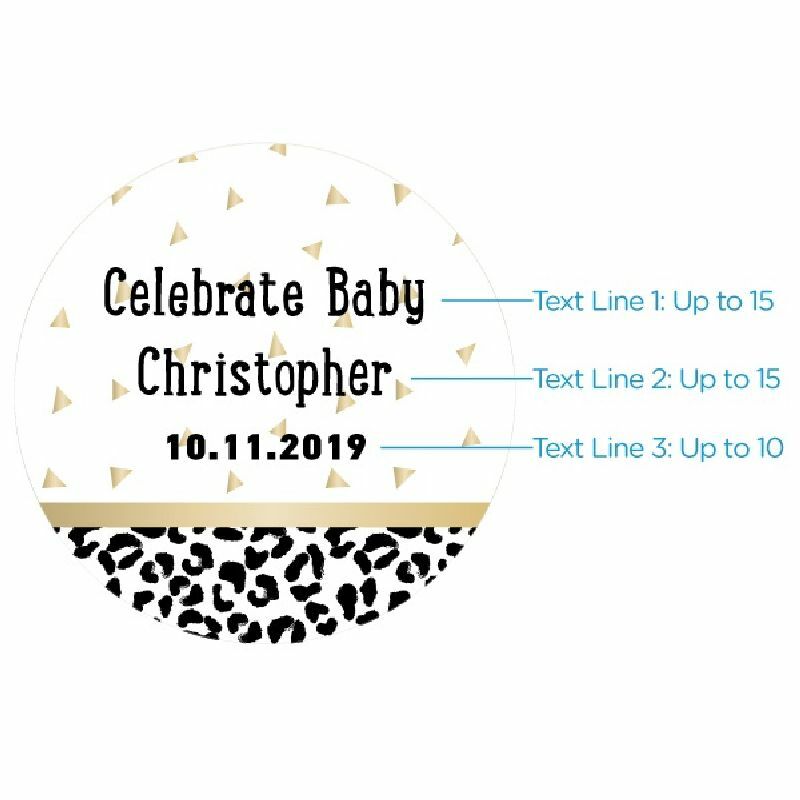 Available in sets of 12, candy tin stickers feature your choice of leopard- or zebra-style stripes and can be personalized to include three lines of text, such as baby's name, birthdate or a sweet message. 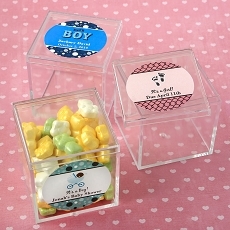 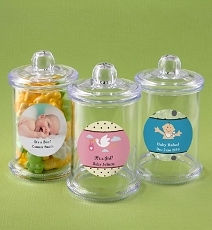 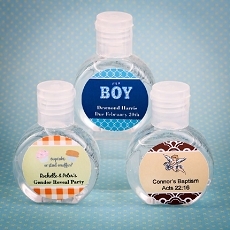 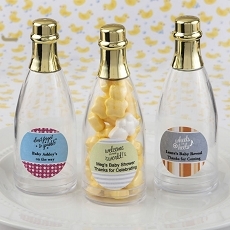 Fill each tin with candy, mints or other small treats that parents and children alike are sure to love.